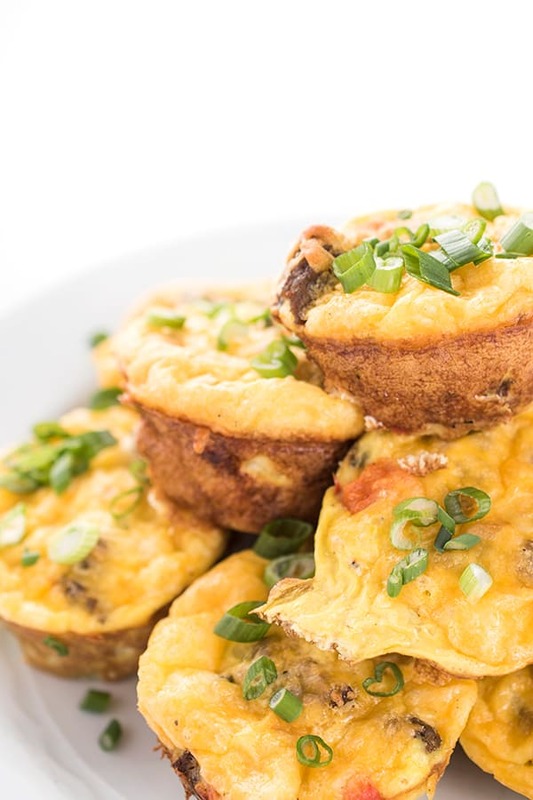 These easy, make-ahead egg cups are filled with sweet Italian sausage, sautéed peppers and Little Potato creamers. 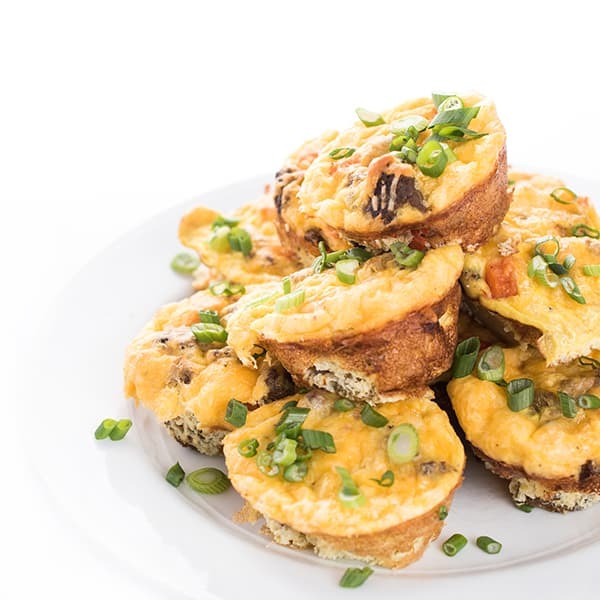 The perfect healthy breakfast recipe! Weekday mornings are always busy in my house. My boys are still in two different schools, each starting at different times, and my husband works early mornings so I am ALWAYS looking for time-saving shortcuts in the morning. 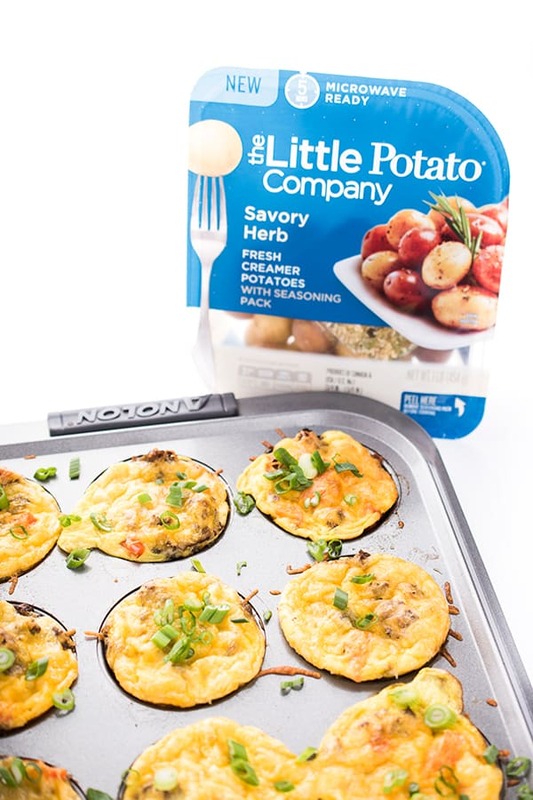 One of my new go-to products is The Little Potato Company’s Microwave Ready packages which come in three flavors: Garlic Parsley, Savory Herb, and Tomato Basil. 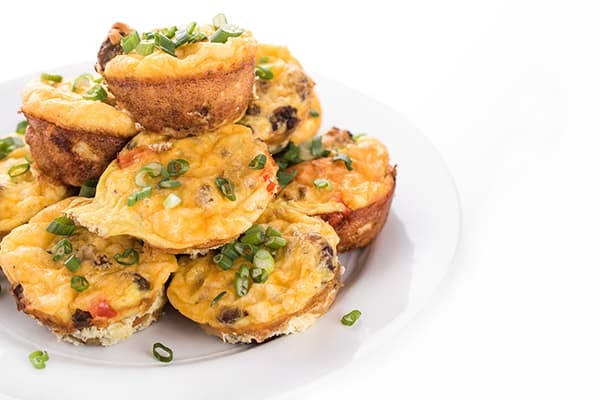 Most recently, I decided to add them to one of my favorite make-ahead breakfast recipes: baked egg cups. 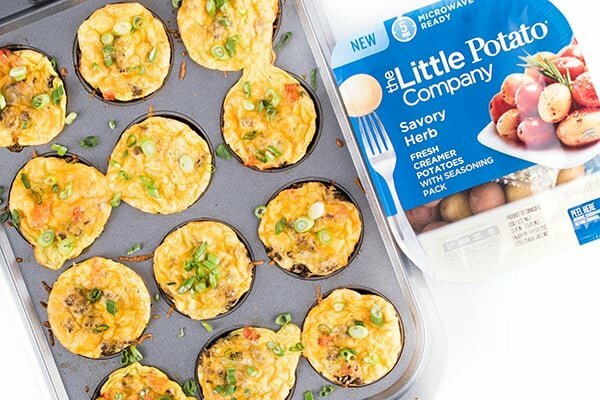 These cheesy and satisfying egg muffins are filled with sweet Italian sausage, The Little Potato Company Creamer potatoes and sautéed peppers. 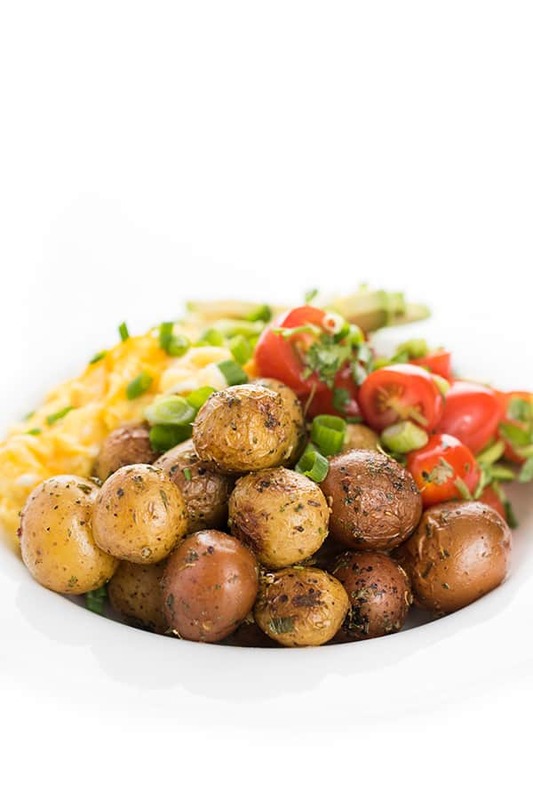 Watch how easy it is to cook these Little potatoes in the microwave, all you need to add is a little oil or butter. Ideal for meal prepping, I like to make a big batch of them on Sunday and reheat them throughout the week. 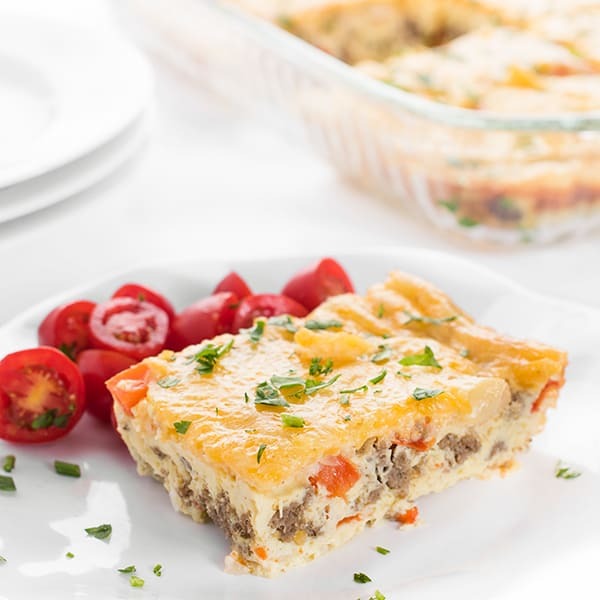 In just 2 minutes, I’m able to serve my boys a hearty and satisfying hot breakfast that doesn’t require any dirty dishes or oven time mid-week. 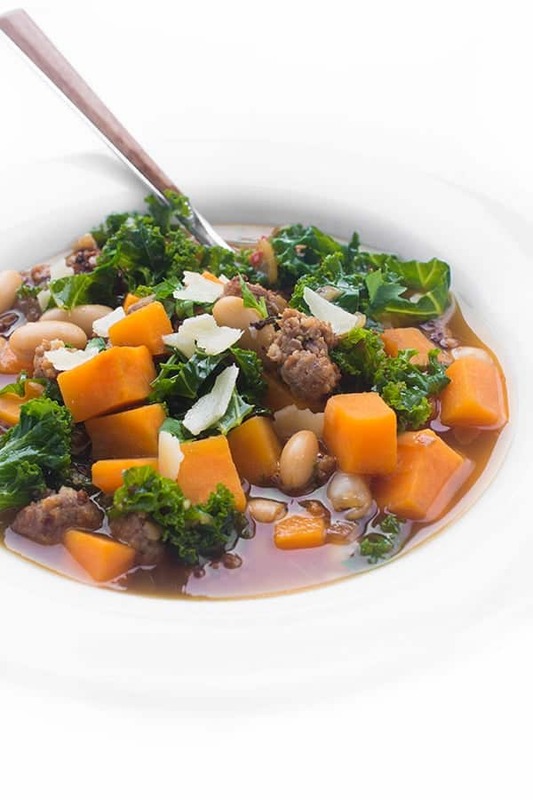 While we love adding sausage and peppers, feel free to get creative and any whatever veggies and leftover meat you have on hand. Onions, ham and potatoes is another great combo that my boys love. 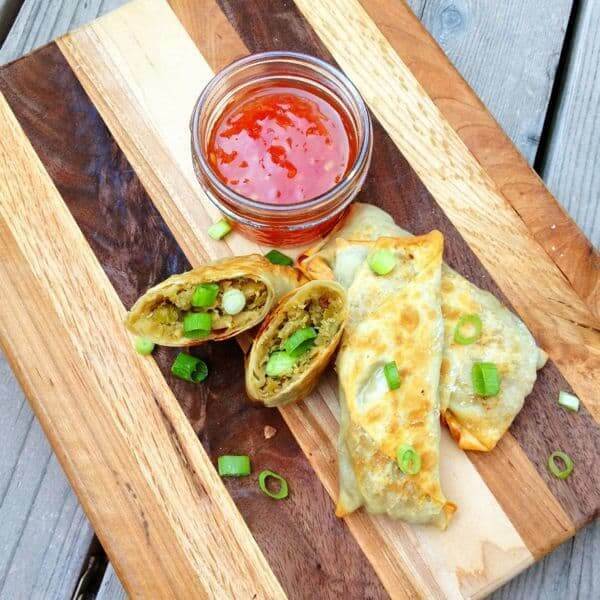 What are your favorite time-saving recipes? I’d love more ideas! Pre-heat oven to 350 degrees and spray a muffin tin with cooking spray; set aside. 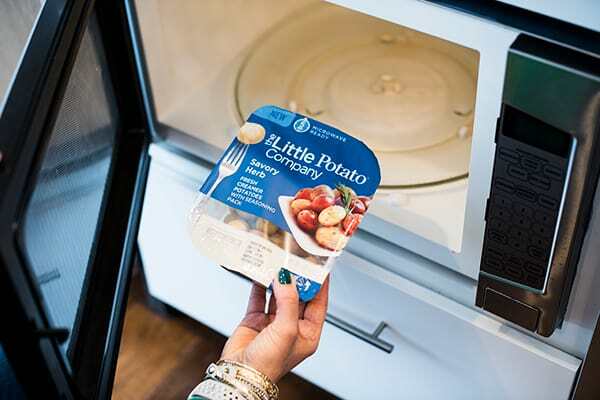 Cook the Little Potato Company’s Microwave Ready Creamer potatoes according to package instructions. Be sure to peel back the cover and remove the seasoning pack. 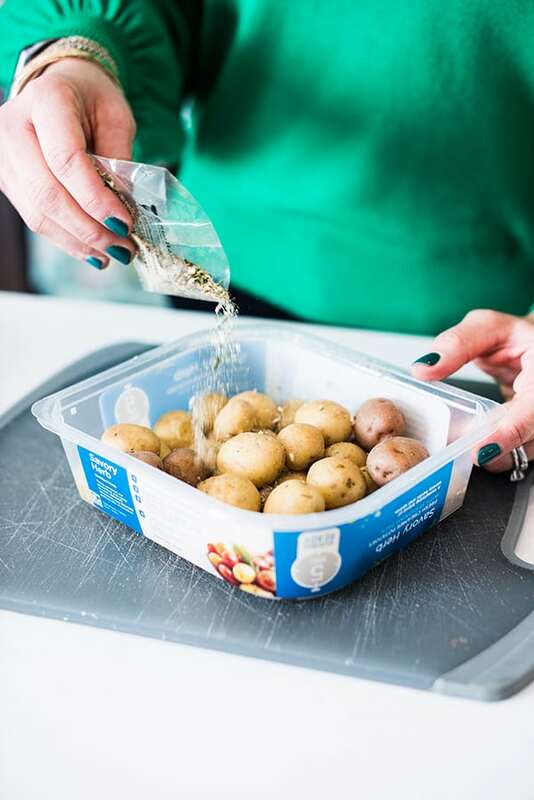 While potatoes are cooking, heat a medium skillet over medium-high heat and spray with cooking spray. Sauté Italian sausage for 5-7 minutes, using a wooden spoon to break up into bite-sized pieces. Add the diced bell peppers and sauté additional 2-3 minutes; set aside. 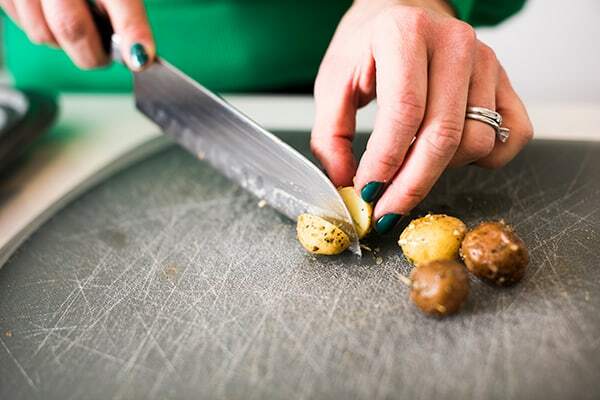 When potatoes are done cooking, slice them in half. 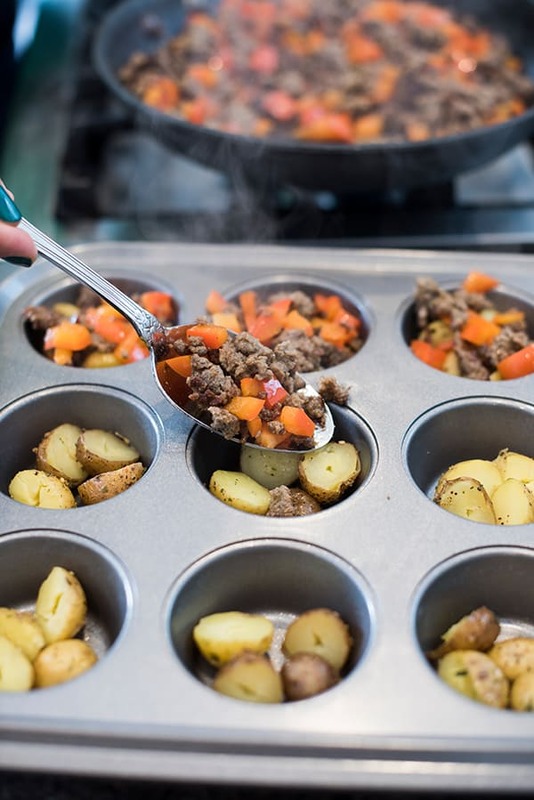 Divide potatoes evenly between the 12 muffin tins then top each with a couple tablespoons of the sausage and pepper mixture. In a large liquid measuring bowl, whisk together eggs, water, salt and pepper. Pour mixture into each muffin tin, about 3/4 of the way to the top. Bake for 25-30 minutes or until eggs are set. Serve warm or refrigerate for up to 5 days. 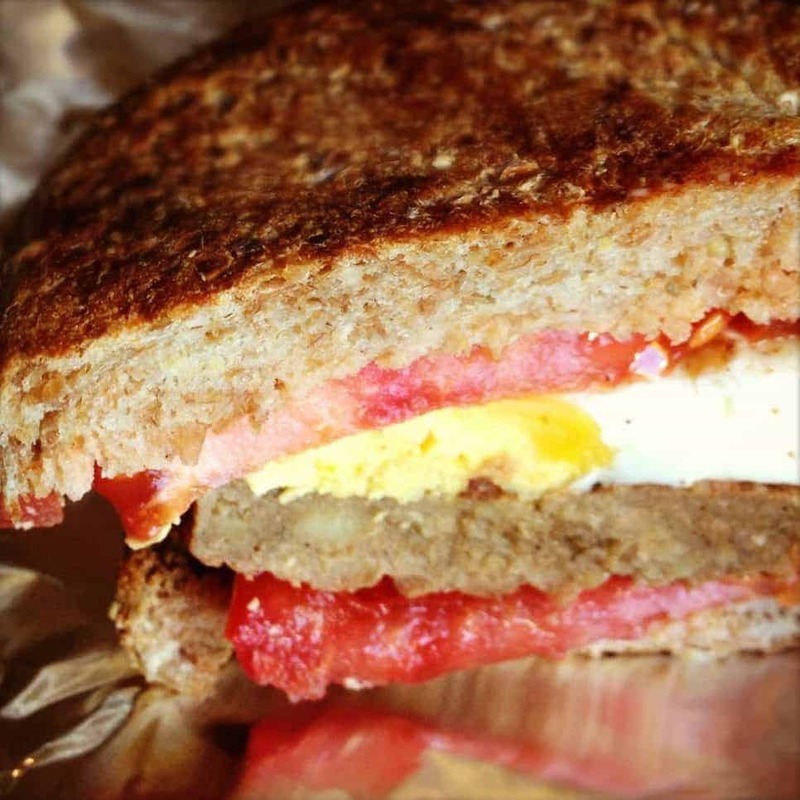 Want more healthy breakfast inspiration? Check out my Pinterest board!